So, over the years, my appreciation and interest in the band Kansas has diminished my standing on the “Cool” quotient data board, that’s a given which I’ve managed to live with for decades. RollingStone magazine once declared that Kansas made music for KISS fans that had reached puberty. No disrespect to KISS or their fans, but I’ve never cared for the make-up covered cartoon purveyors of pop-metal, but I have been a fan of Kansas since it’s first album, released in 1974. I loved everything about the band, their classically influenced progressive rock, and even the back cover photo with these long-haired wind-blown hippies wearing overalls in the middle of a field with dark skies behind them. So, I get it, prog rock bands are not everyone’s cup of tea and they get little respect from rock critics and the like. It was complicated music for nerds, so it took a highly successful band like Yes how many decades before they got into the Rock & Roll Hall of Fame? And that only happened, I’m betting, because Rush got in the previous year, and they had to wait how long? So, prog rock gets no respect, generally, and when they do it’s usually only successful British bands like Yes, ELP and Genesis that eat up all the oxygen in the room, because they had legitimate platinum-selling hit albums, and had maintained a steady cache on classic rock radio. Great bands like Gentle Giant who never had a radio hit, and the American band Kansas rarely got that kind of attention or respect. Of course the other elephant in the room, when dealing with bands that have been around for over 4 decades, is that rarely are all the players the original composers and players from back in the day. Rare is the band like Rush where all three original members stayed active and then when it became obvious that drummer Neil Peart was no longer able or interested in touring, the band quit. Other bands, Journey and Styx come to mind, have replaced singers and players from their hit-making days and continued forward, but for the most part Journey’s Neil Schon presence and great guitar heroics gives the band a legit response to those who think it’s become karaoke or a mere tribute band due to the replacement of vocalist Steve Perry. 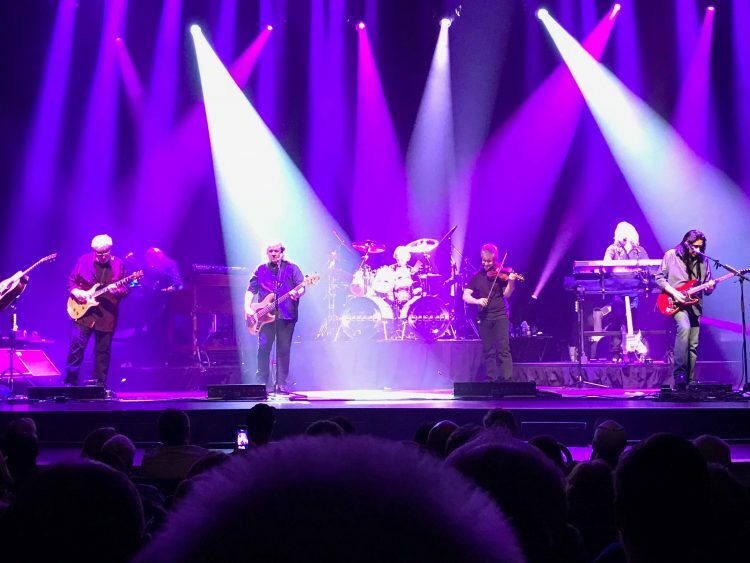 Kansas, who’s only original members still in the band are guitarist Rich Williams and drummer Phil Ehart, has a more challenging case to make. It’s worth pointing out that over the 40+ years of the band’s history, the most beloved composers and players – Kerry Livgren (guitars & keyboards) Steve Walsh (lead vocals & keys), and Robbie Steinhart (second lead vocal & violin) – moved in and out of the band in different eras, but were all present and accounted for in 2000 when they released the new album, Somewhere to Elsewhere. But, also in the intervening years, there were a couple of significant replacements called into action, most notably guitarist Steve Morse (Dixie Dregs, Deep Purple) and vocalist John Elefante (a producer with the band Petra), who each appeared on two Kansas albums, but not together. Along with Richards and Ehart, the current line-up includes Billy Greer on bass and second lead vocals, who took over for original bass player Dave Hope in the mid-80’s. 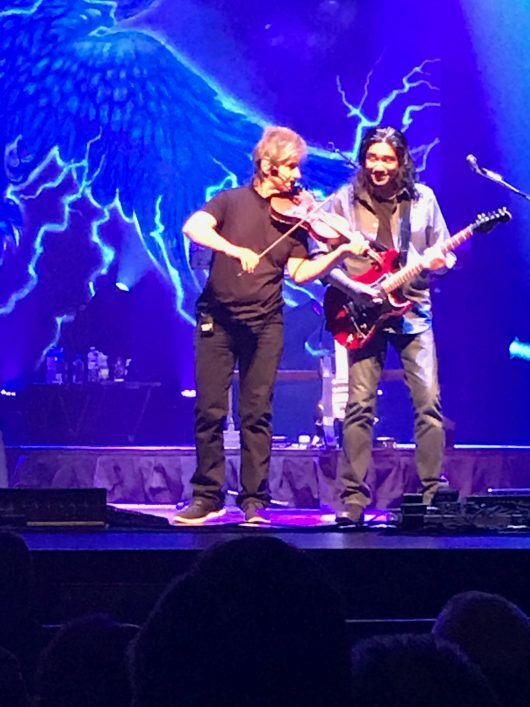 Violinist David Ragsdale joined Kansas in 1991, also contributing background vocals and rhythm guitar, left for a period when Steinhart returned, but has been with the band since rejoining in 2006. Lead singer and keys player Ronnie Platt, and keyboardist David Manion came on board in 2014, and second guitarist and composer Zac Rezvi who joined in 2016, when this current group released the first Kansas studio album in 16 years, The Prelude Implicit. So, I get that to some this might feel like a tribute band, with so few of the original voices and players, but given the solid work in the studio and an obvious devotion to the band’s historic catalog, I was willing to give a band I had not seen live since the band live in 20 years. But Wednesday night’s Evening with Kansas concert at Dayton’s intimate Victoria Theater, rescheduled from last November due to Ehart requiring surgery on his wrists, proved to be an exciting musical walk down memory lane as well as an expression of what seasoned musicians can create together when they set their minds to it. All but Ehart entered at the appointed time, and sat on stools with acoustic guitars, an electric piano, and violin to deliver five opening songs acoustically – “Reason to Be,” “All I Wanted,” “Hold On,” and “Chasing Shadows,” all recognizable from modest radio success, and then delivered “Refugee,” a new song from the band’s latest, which focuses on children trapped in human trafficking. The laid back feel of the acoustic set was a gentle way to introduce the newer band members, but already I was struck by the strong vocal harmonies, sometimes as many as 4 voices, Ragsdale’s impeccable classical violin technique on the solos, and the good will expressed among the players and the warmth they expressed to their fans. As the final song was completed they all stood and moved to their positions, tuning and preparing for the electric portion of the show, as Ehart moved into the double bass drum kit, quickly moving into “Icarus II” from the Somewhere album, followed smartly by “Icarus – Borne on Wings of Steel,” from Masque from 1975. Now, I admit I might have struggled a bit with the vocal articulation of vocalist Platt, as he hit the primary notes of the main melody but with a lighter touch than the recorded version that I’ve allowed to be engrained through repetitive listening decades back. Still, I was rightly impressed by the fact that he hit the notes at all, and that the band played together with precision and dexterity, most notably on the long, intricate runs of notes that the Livgren composed, sometimes with parallel lines played on violin, guitar and keyboard in sync. This band was impressive in their passion to bring this music back to life, including constant shifts in tempo, melding lushly orchestrated passages of beauty and classical loveliness, and bursts of bone crunching rock & roll the next. If the result was not exactly as it sounded on the recordings, they came as close as 7 serious musicians could, playing at the top of their game, and on their tippy-toes. In a world where lots of live bands lean on synth loops and supplement their live show with pre-recorded snippets to fill out the missing pieces, that the musicians are unable to conjure live, it’s great to see a step to the high bar of these compositions and deliver the goods. At this point, Kansas had played at least one song from all of their studio albums, except the one which had given the tour its name. But before they were ready to go there, they wanted to remind fans of their classic early albums that the spirit of Kansas was still alive and well, playing three more songs from their most recent album, The Prelude Implicit: “Rhythm in the Spirit,” “The Voyage of Eight Eighteen” and then their tribute to those veterans buried in Arlington Cemetery, “Section 60,” which included the appearance of a representative from the military carrying a folded American flag like the ones given to the families of the deceased, while the drums and the violin delivered a patriotic moment. But then it was time for the 8 compositions that make up the band’s 1976 release, Leftoverature, beginning with the classic rock monster, “Carry On Wayward Son,” which got the entire audience on their feet for the first time of the evening. One thing that was unexpected, it was Rich Williams who played all the guitar parts that had originally been written and performed by Livgren. In the early days of the band, Williams was a support player, often wearing a tuxedo, who tended to get lost in spectacle of Steve Walsh running around the stage and Livgren and Steinhart’s commanding presence. It was great to see the veteran step up and shine, delivering exactly what you expected to hear in the guitar solo slots, many of which most Kansas fans have memorized through repeat exposure. “The Wall” started out on acoustic and then grew from there, then came “What’s On My Mind,” a rocker worthy of the response it got from the fans who again were gladly singing along. “Miracles Out of Nowhere” was another lush piece with rich classical influences. I know, especially in the last year or two, that lots of folk have been excited by the return of Jeff Lynne’s Electric Light Orchestra, but most of their catalog were great pop/rock songs with smart orchestra support, and it’s no dig at Lynne’s masterful songwriting to point out that Kansas produces a much more complex, and intense interaction of instrumentation, keeping two keyboard players, two guitarists a violinist and a rocking rhythm section fully engaged produce it’s intricate and challenging music. And the classical inclination came out as we moved to the second side to the Leftoverature album, with “Opus Insert” setting the stage, the quiet and emotionally searing “Questions of My Childhood,” followed by “Cheyenne Anthem,” which honors the native peoples of their original state (at some point the band relocated from Kansas to Atlanta). “Magnum Opus,” a challenging instrumental workout ran all of the players through their paces with standout performances from new guitarist Zac Rizvi, who’s playing style recalls the fast fluid playing of Steve Morse, keyboardist David Manion, Williams and Ragsdale. 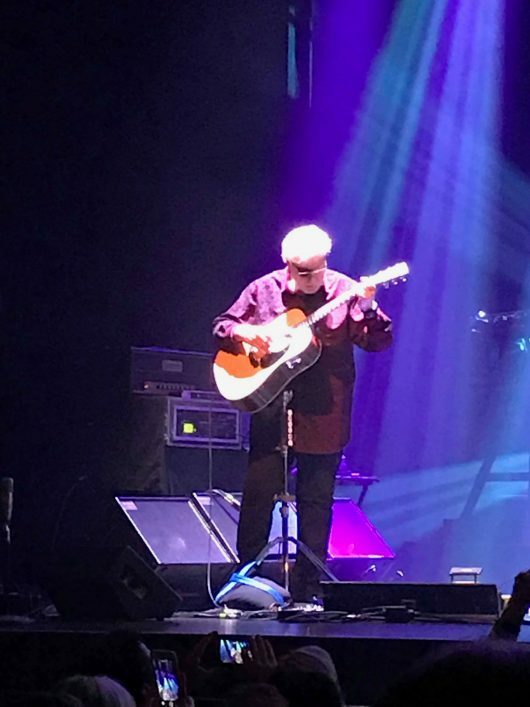 For a band of veterans, the delivered at 2 hour and ten minute show, and then returned to encore with “Portrait (He Knew),” which again had the audience on their feet singing knowingly with the familiar words. 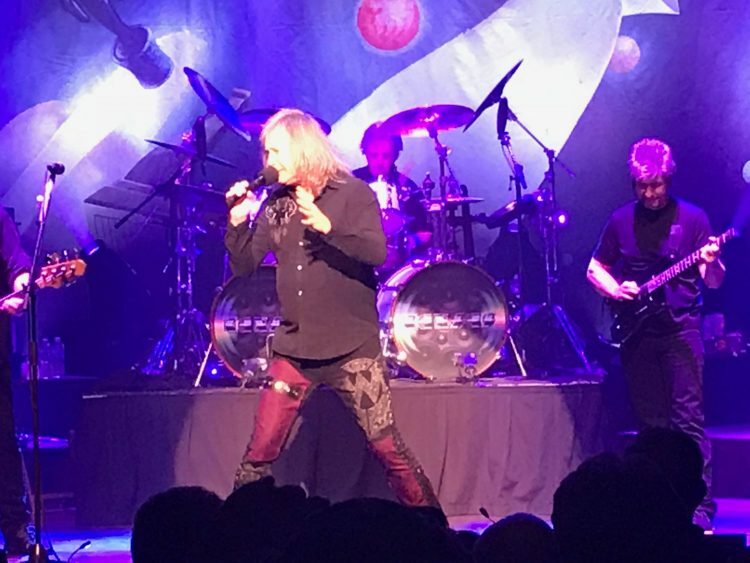 As a farewell, they told the crowd that they wanted to see us again, letting us know they’d be back in the area in the fall, bringing the 40th Anniversary tour of Point of Know Return, when they play Cincinnati in September.